The design comes with (2) workstations with a backlit base, the reception counter with storage. The upper center mural graphic is included as well as the counter graphic. Monitors are extra (see below for pricing). 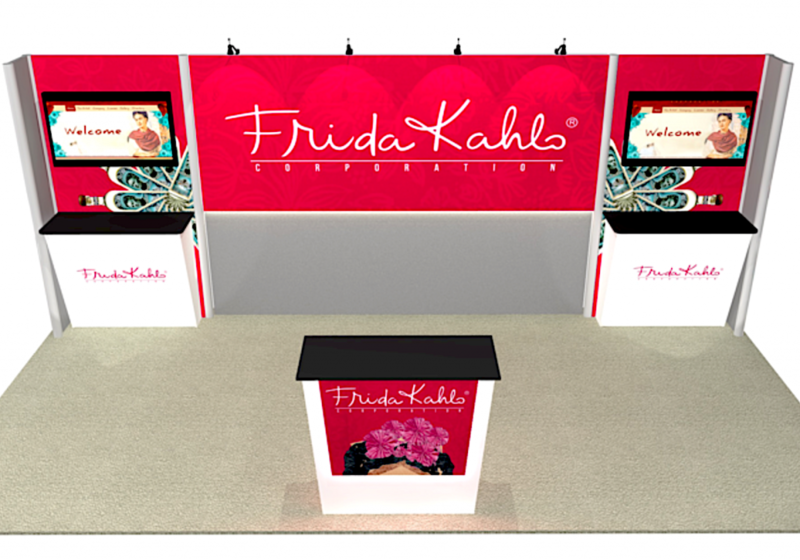 If you can use the same header & counter graphic for your next show, we’ll store them free of charge and your total rental cost will be only $4,700.00. 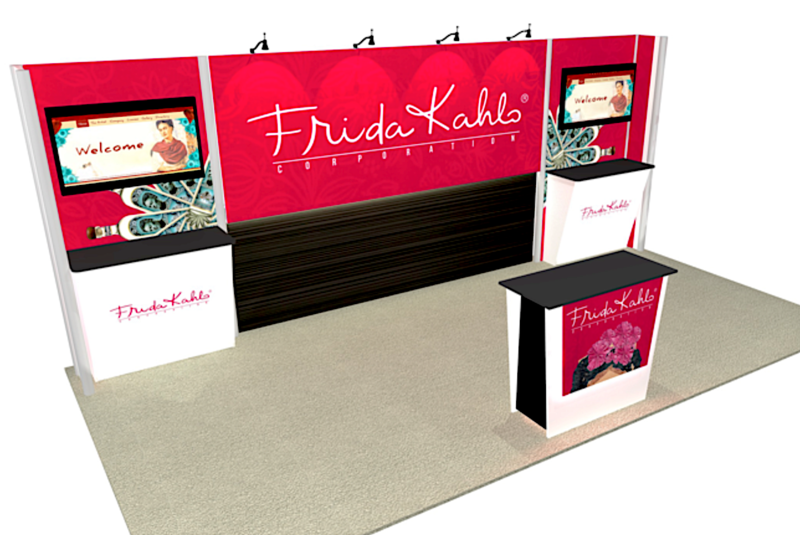 Add more branding with graphics above each of the back wall counters. Monitors are extra (see below for pricing).We’ll make the investment worthwhile by storing your graphics for free! 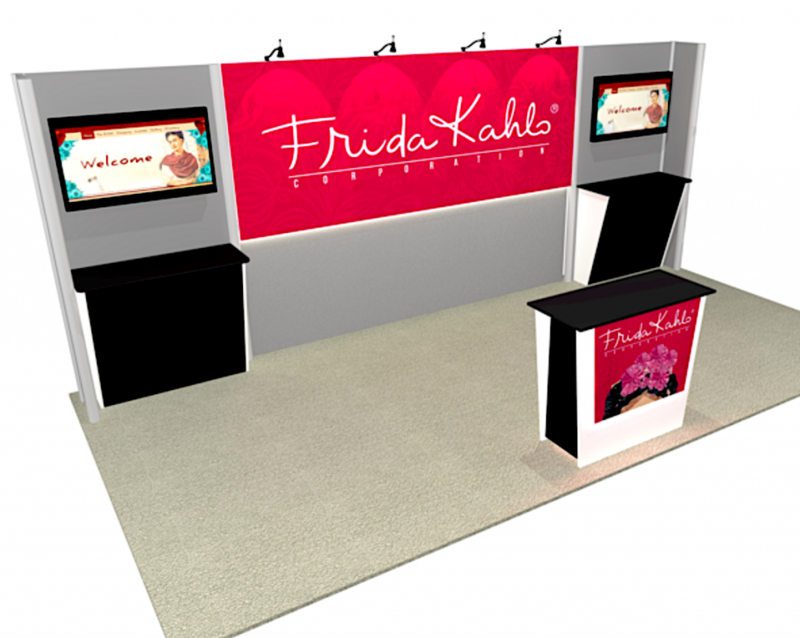 Use your same graphics for the next show and your price drops to only $4,700.00. It’s hard to see in this rendering but this price includes a bottom center mural graphic and (2) small return graphics on the ends. We’ll store graphics for free. Use them again and your next show will be only $4700.00.